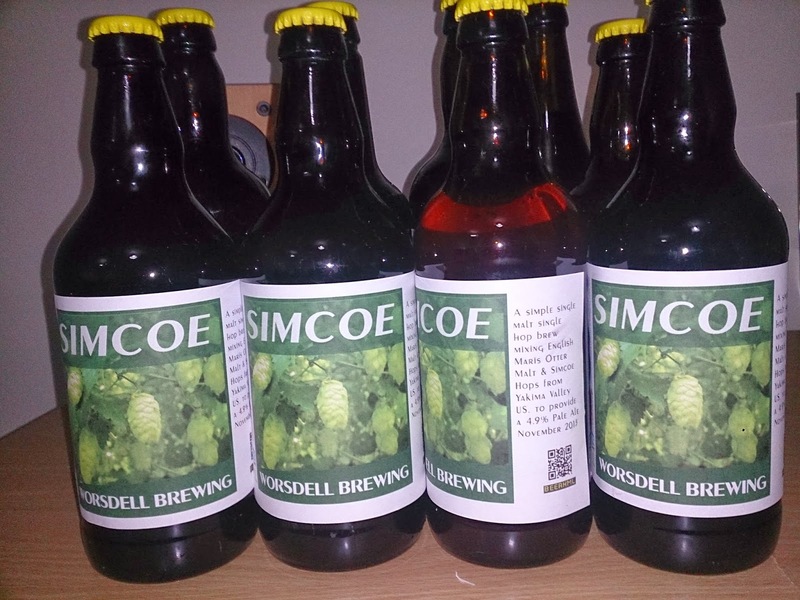 First set of labels for Simcoe. 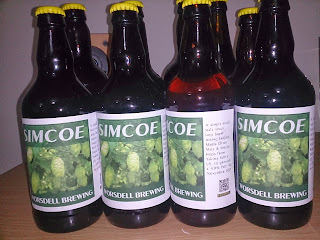 In addition to the labels it's the first brew for a while that I've generated a QR code (http://j.mp/1blm5en) on the bottle. This goes either to the dedicated android app or shows a revamped web page with the recipe details.